Armenia (or the Republic of Armenia) is situated in Western Asia on the Armenian Highlands. Armenia shares its border with Turkey, Georgia, Azerbaijan and Iran. Armenia gained independence in 1991 after the dissolution of the Soviet Union. The surrounding mountains mitigate the effect of the hot summers. The cold winters with temperatures ranging between -5 degree Celsius and -10 degree Celsius make it a great place for winter sports lovers. 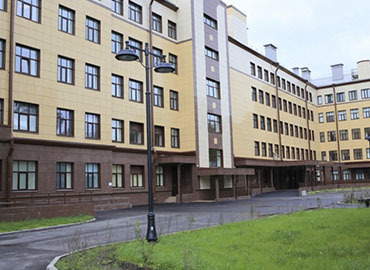 Though Armenian is termed as the official language of Armenia, yet the MBBS classes for international students are conducted in English as a medium of instruction. Indians and Armenians are connected from the ancient period as it is said that Armenians used to have integral positions in the Mughal Court of Akbar. The local people in Armenia are very welcoming towards Indian citizens. Armenia is the admirable place for those who are seeking high-quality MBBS education at a reasonable price. International students are interested in acquiring the MBBS degree in Armenia for a variety of reasons. Armenians are advanced, multicultural and open-minded nationals. Residents of Armenia are family-oriented and always feel proud in offering the best experience of hospitality to the international tourists, visitors and students pursuing varied courses or MBBS from the Top Medical Universities in Armenia. Armenia has witnessed a remarkable development in the field of education, especially medical stream. The growth percentage of teaching in the country particularly in the medical field is remarkable. The medical degrees awarded by the Armenian universities are globally recognized. Students who have completed their MBBS in Armenia are successfully practising their medical career in various destinations around the world. Have a look at other sections to know the importance of pursuing MBBS from Armenia. MBBS in Armenia can be the best option for the Indian Medical aspirants. Indian students get everything that they wish for in their medical university. Low MBBS course fee, good clinical exposure, quality medical education, modern infrastructure, well-equipped laboratories attract thousands of students to do MBBS in Armenia. A student has to undertake no entrance test in order to get admission in top medical universities in Armenia. The admission procedure for Armenian universities is quite easy and simple. The low tuition fee in the medical universities of Armenia is the primary reason for attracting thousands of students from around the world. 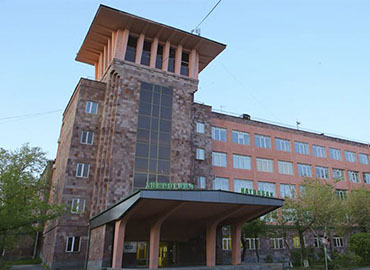 Students prefer MBBS in Armenia when going for the option of MBBS in Abroad due to the facilities they get in the top government medical universities of Armenia. It can be an extremely wise decision for a student to study MBBS in Armenia and fulfil his/her dream of becoming a doctor. The adoption of the English language as the medium of instructions is the other main reason why students prefer Medicine in Armenia. Out of the International students who visit Armenia for their medical studies, Indian students hold quite a high proportion. In addition, the awarded medical degrees from the prestigious Armenian Universities are recognized by the Medical Council of India (MCI) & listed with World Directory of Medical Schools (WDOMS). Students already pursuing MBBS in Armenia and planning to seek admission for the MBBS Studies in Armenia need not worry about anything. A candidate from India can get confirmed admission for MBBS in Armenia on fulfilling the required eligibility criteria. So stay relaxed and pack your bag for the admission in the MBBS from the Top Medical Universities in Armenia. 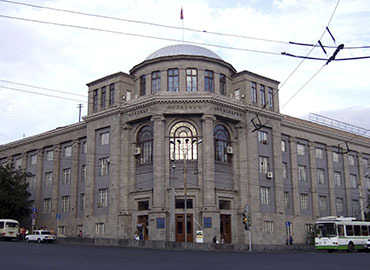 The capital city of Armenia, Yerevan has a few of the prestigious medical universities offering the MBBS Study course to the international students. More than 2000 Indian Students are currently studying MBBS in Armenia and all of the MBBS universities are situated nearby to each other in Yerevan, Armenia. Armenian medical certificates are recognized by MCI, UNESCO and WHO. Armenia is known for the lowest crime rate & safest country in Europe for worry-free education. 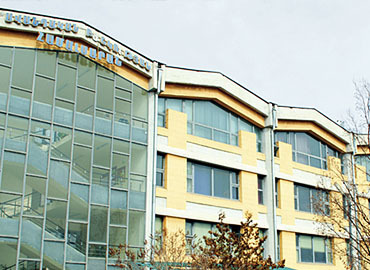 Most of the universities offer direct admission in Armenia. No TOEFL or IELTS is essential for the admission to MBBS program in Armenia. Environment- As the student moves into a foreign nation, the environment, languages and culture all around might cause one to feel homesick. Unfamiliar with the surroundings and a new culture makes the International students feel introvert. This can affect the students and their behaviour in social gatherings. Cheating Agents- The selection of a reputed consultancy is a vital step. Students get trapped with fake agents and have to pay additional money at the time of departure. So the students and their parents should always be aware and alert while choosing the Overseas Education Consultant. Communication- A big hindrance for the students in Armenia is Communication as the language barrier plays an important role while students choose Armenia for studying MBBS. So, students need to learn the local languages to communicate with the native people. Although there are a few disadvantages while one studies in Armenia, there are always more benefits. Education in Armenia might have a few disadvantages, but these shortcomings can be overcome by a positive outlook. Every medical aspirant from India must have completed his/her class XII in Science; having scored a minimum of 50% in Physics, Chemistry and Biology. This is mandatory for students from Unreserved Category. Step 2- Submission of the academic documents like X & XII mark sheets (educational certificates), Birth Certificate, NEET scorecard and Passport size photographs. Step 6- Visa stamping is your last step for your admission process. We- at the Education Abroad, get your Visa stamped by the Embassy of Armenia in New Delhi. Upon completion of all the formalities, just pack your bags and get ready to fly towards your current most preferred location for the medical dream you want to achieve. Attain it in ARMENIA!! Practice in Armenia- Getting settled in Armenia is also a good option for the graduates. After completing MBBS in Armenia, you can practice there or choose to pursue post-graduation. Many candidates choose this option as a career path. Return to India for practice- After the students complete their MBBS studies in Armenia and want to practice medicine in India, then the candidates have to qualify for the MCI and FMGE screening test. Similarly, in order for students to practice medicine anywhere in the world, the students have to qualify for the licensing exams of that particular nation. It is compulsory for the graduates clear the screening test as it is conducted to test an individual’s skills & capabilities. The exam is of total 300 marks and 50% marks (150) are required to pass the test. The test is conducted twice a year (June & December), so the aspiring students have the option to clear this exam in two attempts. It has no age limit and no rankings. Chance in Hospital Management- Presently, Hospital management is a fast developing sector, offering versatile jobs to the students from Medical background. Students also go for Masters in Hospital Management, after MBBS from Armenia. USMLE- Passing out from Armenian Medical Universities, graduates can appear for the licensing exam of USA i.e. USMLE (the United States Medical Licensing Examination) step- one, two & three to pursue their medical career in the USA. Pursue MD in USA or Germany after MBBS in Armenia- The major benefit of completing MD/MS in USA or Germany is that students do not need to appear for MCI Screening Test before or after MBBS in Armenia/Abroad. Upon your degree completion in Armenia, you can pursue Postgraduate level (MD/MS) from USA/Germany without clearing the MCI test. The degree offered from USA or Germany would be valid in India as well. All students who enrol in the USA also get a monthly stipend while pursuing future studies. So concluding all the above facts, students will surely have a bright future in their medical career upon return to India as they will get coveted opportunities in premier medical institutions who would value their International exposure. EDUCATION ABROAD- An Inspiring Innovation for Youth …. Education for an Inspired Life!! !